SJ 2 was heard on the Senate floor Tuesday morning, with 15 Democratic legislators calling for a “Convention of the States,” under Article V of the U.S. Constitution. The bill specifically asks for the repeal of the 2010 Citizens United decision by the Supreme Court. The Citizens United decision removed limits on the amount of money a corporation can spend on political campaigns; whether disclosed to the public or in the form of “dark money,” funds kept hidden until after voting. Two-thirds of U.S. state legislatures must support a convention to bypass Congress and pass an amendment. To go into effect, three-fourths of the state legislatures must then approve the amendment, as they must do for any change in the constitution. “I go along with this, at this point in time, just to send a message to Congress,” said Miller. 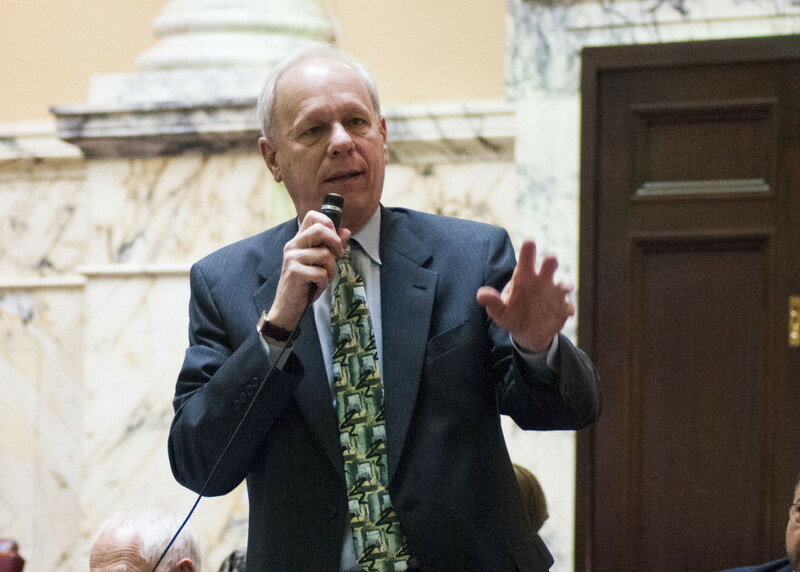 Republican Sen. Robert Cassilly, Harford, fears legislators will lose control over the process. Republican Sen. Michael Hough argued that if legislators want to get the attention of Congress, a convention is the wrong way to do it. Hough offered an amendment to strip out references to a convention and make the bill a “simple resolution” to send a letter to Congress. With the letter, Hough took comfort in the fact that the “ambiguous language on how to amend the Constitution” would be struck, and not sitting on Marylands’ record far into the future. The call for a convention would not expire and would sit on the books for an unlimited number of years unless the legislature revokes it. The amendment failed with an 18-29 vote. Sponsor of the bill, Sen. Paul Pinsky, D-Prince George’s, believes that a letter will not ignite the spark amongst states he is looking for. “Part of our hope is to move conversation. To have additional states take up this call and hopefully get the attention of Congress, or a new Supreme Court,” said Pinsky. Pinsky said the constitutional amendment would make clear the corporations do not have the same rights as persons. “Corporations are not natural people…they do not have the right of free speech. Of taking your money, your bills, and spending it on candidate X or issue Y,” said Pinsky. In repealing the Citizens United decision, corporations would need to disclose where their funds go and give voters an idea of who is supporting whom politically. “Can you really limit it in that degree?” asked Cassilly. “I appreciate everyone’s love and care for our most precious document, but it’s a living document,” made to be amended as the times change, said Raskin.